Hilary Agard Evans (1929– 27 July 2011) was a British pictorial archivist, author, and researcher into UFOS and other paranormal phenomena. In 1964 he and his wife Mary Evans founded the Mary Evans Picture Library, an archive of historical illustrations. 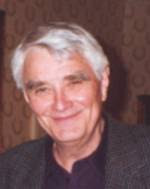 In 1981 he co-founded the Association for the Scientific Study of Anomalous Phenomena. He wrote 9 books about UFOs, in one of them there is a chapter where it is mentioned the work of CIOVI in Uruguay. A brilliant intellectual, author of about another thirty books about other subjects, Evans had a particular vision of the UFO phenomena, being critical to the extraterrestrial hypothesis as a valid explanation. Budd Hopkins, (June 15, 1931 – August 21, 2011 was an American painter, sculptor, and prominent figure in abduction phenomenon, and related UFO research. In 1964, Hopkins joined the now-defunct National Investigations Committee on Aerial Phenomena (NICAP) and began reading many UFO books and articles. Hopkins wrote several popular books about abductees, notably Missing Time and was the founder of the Intruders Foundation, a non-profit organization created to document and research alien abductions, and to provide support to abductees. Hopkins was permanently criticized for his use of hypnosis as a tool for the investigation. It was mostly due to his work that the issue of “abductions by aliens” was attached to the UFO subject. May both of them rest in peace.